Current PLR rate of LIC Housing Finance is 14.70%, which the bank fixes periodically based on its internal cost of funds and the current interest rates in the economy. LIC Housing Finance benchmarks its interest rates for home loan and other loans to PLR rates. LIC Housing Finance decides and fixes its own PLR from time to time. LIC Housing Finance typically offers loans benchmarked at a discount to the PLR to arrive at its lending rate. 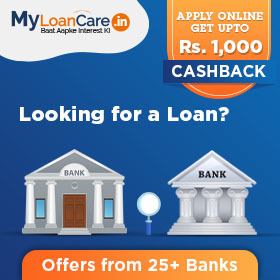 MyLoanCare regularly tracks RBI repo rates and PLR rates of LIC Housing Finance to give past trend in the change in LIC Housing Finance PLR rates as compared to the changes in the repo rates. Any borrower, who plans to take a PLR based loan should compare the past trends of PLR and MCLR rates of HFCs and banks to ensure that the lender they choose is prompt in revising their PLR or MCLR rates. Based on an analysis and comparison of PLR rate trends of LIC Housing Finance Current PLR Rate of LIC Housing Finance is 14.70%, which was last revised on 24th Jan 19. On the other hand, current RBI Repo Rate is 6.00% which was last revised on 04th Apr 19. It is not mandatory for LIC Housing Finance to revise its rate every month and it may choose to retain the same rate for a longer period keeping them unchanged. LIC Housing Finance PLR rate is notional interest rate to which interest rate on LIC Housing Finance’s floating rate loans is benchmarked. Typically, all loans by LIC Housing Finance are priced at a discount to the LIC Housing Finance PLR. Applicable rate of interest on all LIC Housing Finance floating rate loans, such as home loans, loans against property, business loans, SME loans linked to PLR will vary with changes in its PLR from time to time. Sometimes, LIC Housing Finance may have different benchmark PLR’s by customer segment and by product. E.g., it may have one PLR for retail and another one for corporate. Every floating rate home loan sanctioned by LIC Housing Finance is benchmarked to its PLR rate. Your loan from LIC Housing Finance will be repriced periodically depending upon change in PLR. So, a home loan from LIC Housing Finance will be repriced every time the PLR of changes. Say, you take a loan at PLR minus 6.75% spread when the PLR is 14.70%. This loan will initially be priced at 7.95%. Whenever LIC Housing Finance changes in PLR rate, the applicable rate of interest will change correspondingly. So in the same illustration, if LIC Housing Finance decreases its PLR by 0.5%, the loan interest rate for existing borrowers will also decline by 0.5% and new applicable interest rate on the loan will be 7.45%. LIC Housing Finance's registered office is located at Bombay Life Building, 2nd Floor, 45/47 Veer Nariman Road Mumbai, Maharashtra-400001. LIC Housing Finance's management is led by its CEO Ms. Sunita Sharma.